American Revolutionary War History | What Happened to the Original North Bridge? | Skinner Inc.
Two hundred years later, I was a 9-year-old attending the Ripley School in Concord. During a bicentennial ceremony, I received a small block of wood, and so did all of the other students at the school. Our teacher told us that these pieces of wood were remnants of the North Bridge. Even then, I wondered what happened to the original bridge, and how did these pieces survive? 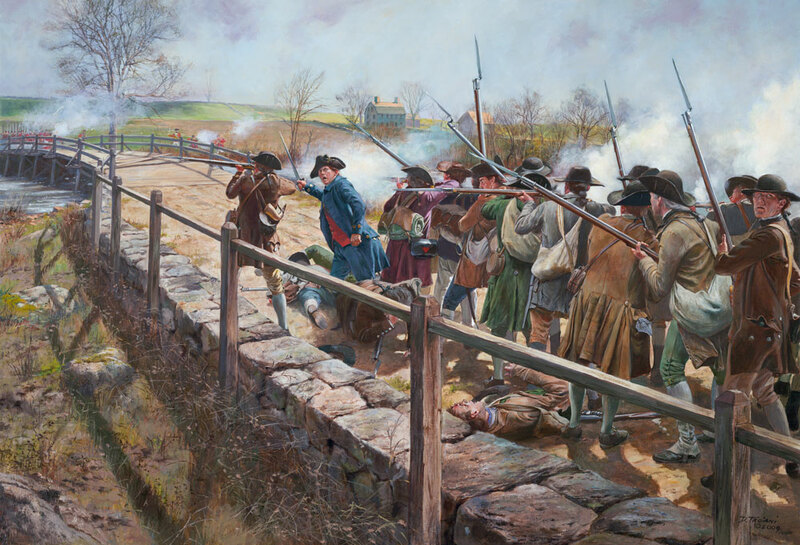 Now, as an adult, I’ve put the story together, and another, much more significant piece of the bridge will go on display at the “Shot Heard Round the World: April 19, 1775” exhibit, opening on April 18th at the Concord Museum. According to town of Concord records, the bridge at which the famous fight took place was built in 1760, replacing an earlier one. By the early 1790s, new roads and bridges provided alternate routes that rendered the famous bridge useless. In 1793, it was disassembled and moved to the site of the current Flint bridge. Since the town was not paying for the removal work, the crew reused most of the wood and stone buttments from the North Bridge site at the new Flint bridge. As the centennial anniversary of the battle approached in 1874, the leaders of the town of Concord realized that the site of the North Bridge deserved some attention. President Grant was going to visit for the celebration, after all. They erected an awkward-looking replacement bridge at the historic location. In the following years, this memorial bridge kept requiring rebuilding or repairs after spring floods and storms. In 1909, the town built a replacement bridge of concrete. Surely this one would survive for a long time to come! The concrete bridge did last for several decades, but in 1955, it was damaged in a storm, and the Massachusetts Department of Public Works decided that the new bridge should be built to last and to better resemble the original. As construction commenced, the crew brought draglines to work the bottom of the river, and discovered pieces of the original bridge from 1760. These pieces must have been left behind in 1793 because they were too difficult to remove from the river bed. With modern technology, of course, this removal process was much easier. The town of Concord received the wooden beams that were recovered. 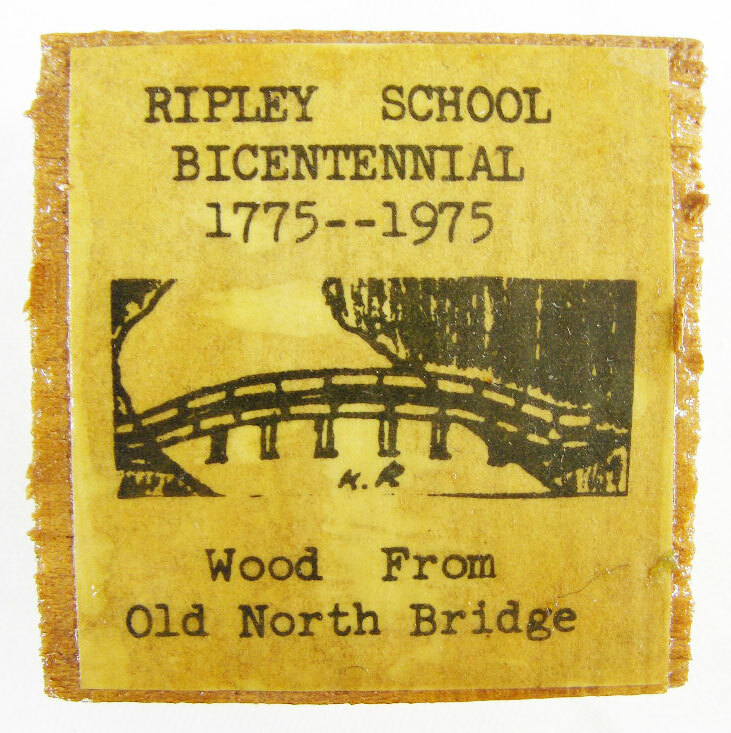 They cut some of the beams into pieces and mounted the blocks of wood on plaques or gave them to schools – including mine – for bicentennial celebrations. I’ve held on to my memento of the bridge ever since. The town left a few of the best beams intact and donated them to the Concord Antiquarian Society, now the Concord Museum. 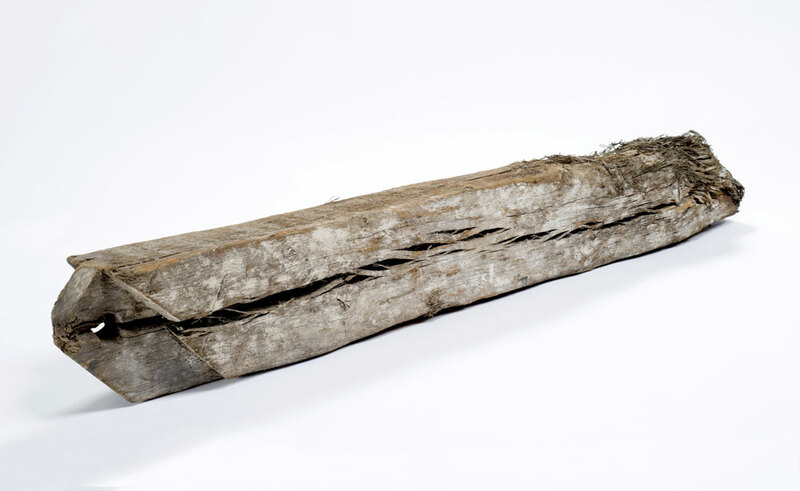 One of those pieces, a witness to the events of April 19, 1775, is a large side brace of the original bridge with a tenon on the end that had been pegged into a mortise on the main frame of the bridge. I hope you’ll make time to come out and see the side brace along with many other artifacts from that important day in history at the new exhibit, “The Shot Heard Round the World: April 19, 1775” at the Concord Museum. Side Brace of the North Bridge, Concord, 1775. Photo by David Bohl, Concord Museum. This entry was posted in Blog and tagged American Revolution, April 19 1775, bicentennial, Concord, Concord Museum, Joel Bohy, Massachusetts history, military history, minute men, North Bridge, old north bridge, revolutionary war, Ripley school, shot heard round the world, the shot heard round the world by Joel Bohy. Bookmark the permalink. Specialist, Historic Arms & Militaria, Skinner, Inc.
My name is Bob Smith. My mother, Grace Smith, was a teacher at Ripley School. During the time of the Bicentenial, she had given me three small pieces of wood and said they were from the Old North Bridge. I assume they were offal from the cuttings the students received. Thanks for sharing the story. I received a piece of the original bridge from Bill Towler when I was a student at the Middlesex School in 1960-1961. Bill started driving a taxi with a Model T and made a life and a thousand friends for the rides and the advice he gave. Bill had a long history with the historical society in Concord. I realize this is an old post, but just had to leave a comment. Thanks to ancestry.com I have recently learned that I’m a direct descendant of James Hosmer and that Pvt. Abner Hosmer is my first cousin 7X removed. I’ll be visiting Concord for the first time next week. Thanks for all of the great info on this bridge that suddenly takes on new meaning for me. My mum passed away late October 2015 and I have many, many boxes of things she and my dad saved over their 65 years of marriage. Among the items in these boxes is the same block of wood from The Old North Bridge from the Ripley School Bicentennial. Though I’m not sure what to do with it, I’ll probably end up saving it for my adult children, just as my parents did for me. I have to say, though, that my parent’s are definitely children of depression era parents and saved too much … But some things I have come across have been a pleasure to find. I grew up on Ash Street, right down the street from Ripley School, Concord, MA.